Summer is finally here. And that means surf season is too. 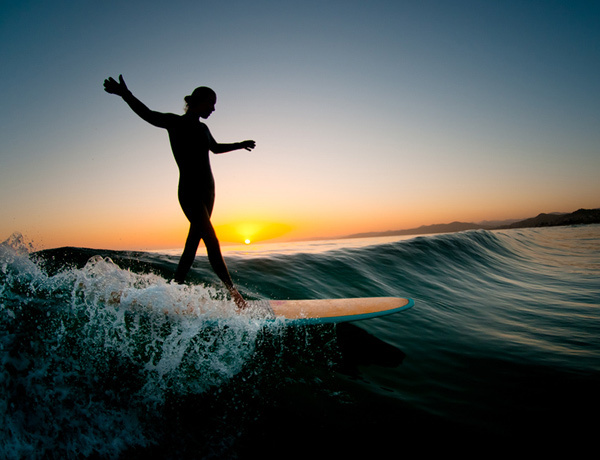 Beautiful sunsets, killer waves, and feeling freedom are all ingredient of the surf culture. Just like skateboarding, surfing is much more that a sport. It's a lifestyle. True surfers carry a deep affection for the sport, they eat, sleep, and breathe surfing. Trying to get the perfect shot, while getting rocked by waves, is rarely easy. Photographers behind these captures clearly show passion and respect for the sport. Today we collected thirty beautiful examples of surf photography from talented individuals. Whether you're a current or an upcoming photographer, the following shots are bound to excite you. See the rest photos here!